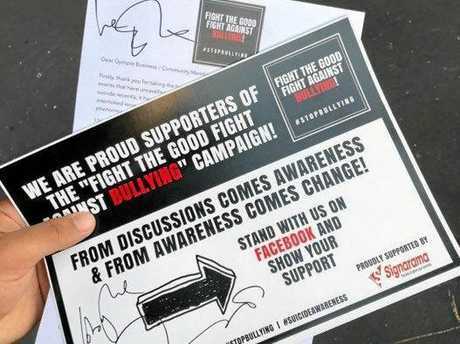 ONE of the world's most famous faces is getting behind the Gympie-born anti-bullying campaign. 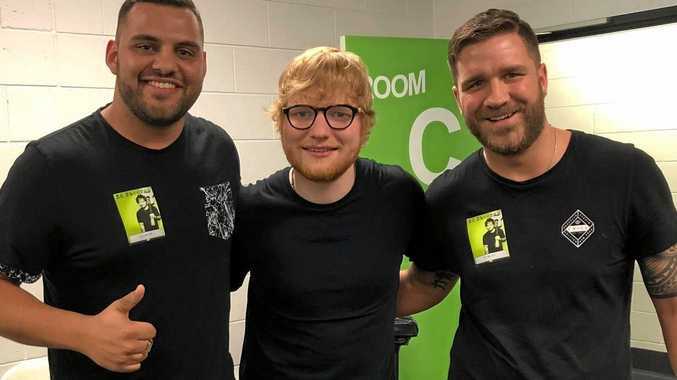 Ed Sheeran, last night threw his influential weight behind Fight the Good Fight Against Bullying, meeting Gympie campaign organisers Murray Benton and Mathew Castley before he was due to perform to a packed crowd in his first Brisbane concert at Suncorp Stadium. 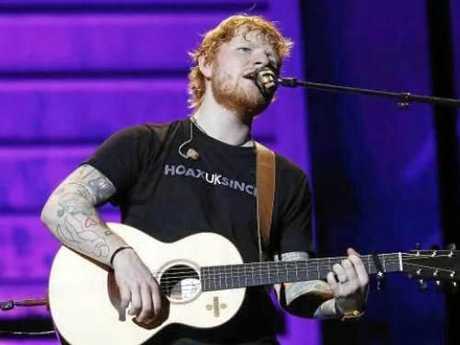 The British singer with the world-adored voice, was relentlessly bullied at school for his ginger locks, oversized glasses and stutter. Last night he had a message for victims of bullying. For those who are being bullied, keep your head high and remember you're not alone, he told Gympie's anti-bullying duo backstage. And believe it or not it does get better so don't lose hope, he said. 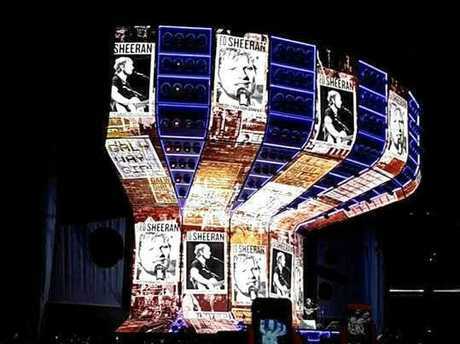 The mega-star, who has sold more than 26 million albums and 50 million singles worldwide making him one of the world's best-selling music artists, is testament to the statement. Mr Benton and Mr Castley said the gracious singer was very genuine and down to earth and that his advice would go a long way in helping their fight. Gympie businesses are also rallying to support the new anti-bullying campaign, standing alongside the Gympie men who are responding to a huge national outcry for change. 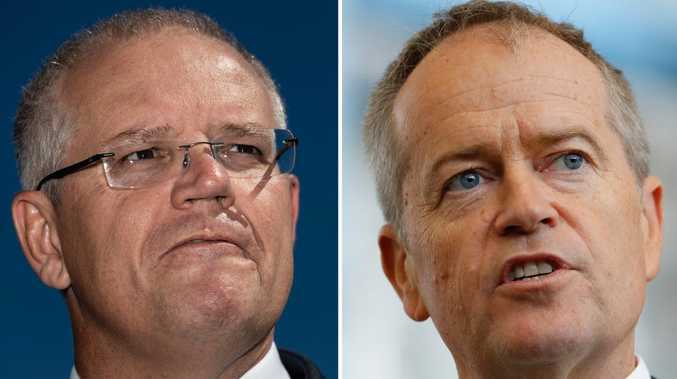 The movement was triggered when Mr Benton went public with his 12-year-old brother Brian Birchall's story of relentless bullying at a Gympie high school, that led to hospitalisation after a suicide attempt. When the worried big brother posted to Facebook, it was a message that was shared by more than 87,000 people. Mr Benton had touched a nerve on a taboo topic that could no longer be ignored. "We've seen that there's definitely a need for something to be done for our kids," Mr Benton said. "It's such a negative topic and it's something that people don't always want to talk about because it impacts them and they have feelings towards it." 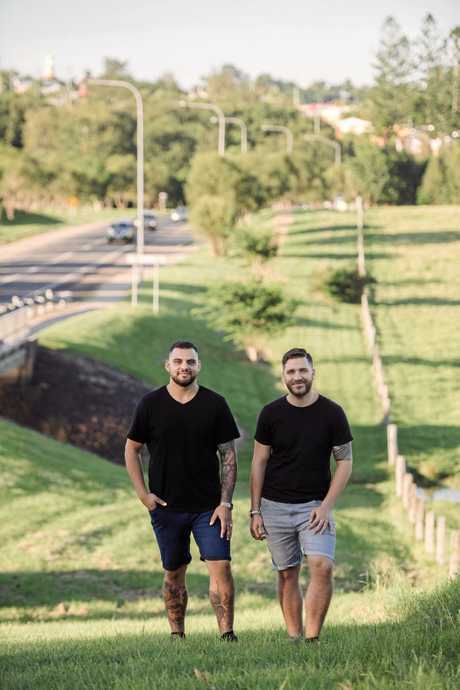 But the property consultant turned campaigner is turning the spotlight on the dark subject through his Fight the Good Fight Against Bullying campaign and accompanying Facebook page that aims to put Gympie on the map as the nation's anti-bullying capital. From discussions comes awareness and from awareness comes change, is the campaign's mantra, which Mr Benton said has had tremendous support from the Gympie community already. Yesterday, the campaigners took their message to Gympie businesses, who welcomed the anti-bullying delivery. "We're a Gympie family who've gone through a pretty traumatic experience," Mr Benton said. "We've received monster support and monster traction and backing from our community." Flyers sponsored by Gympie's Sign-A-Rama now hang in most Gympie CBD businesses, while Photography by Bambi and The Royal Hotel have also stood by the campaign. "Nearly every single business that we've walked into has taken on our message and our flyer. "People are very passionate about it. Having a national campaign launched from little country Gympie is just going to put us on the map and that's what I'm excited for."